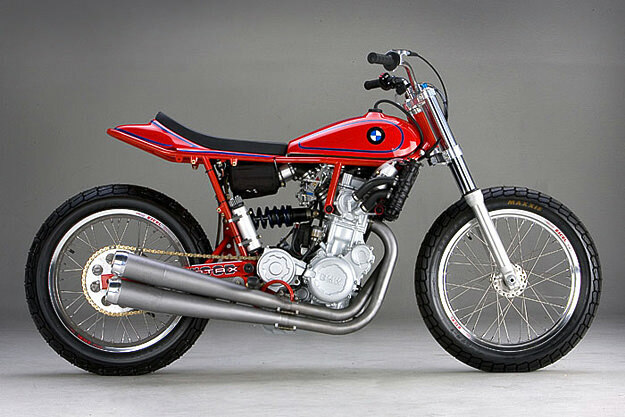 A couple of years ago, BMW USA took the Rotax engine from an F 800 and gave it to legendary flat track builder Ron Wood. Wood obliged by building this exquisite machine, and on its very first competitive outing, it finished in sixth place. The F 800 was the loudest bike on the track: the AMA race announcer reported that the BMW “sounded like a bear coming out of his den for the first time”. But aside from the exhaust system, the motor in this bike is mostly stock, and it even retains the electric start. Wouldn’t it be great if BMW made a road-legal version of this?